Snapchat’s user-base is predominantly young, with a lot of teens being on-board. The age limit stated by Snapchat to use the app is 13 years, but there could be a lot of younger people who could be lying about their age just to be a part of the popular multimedia messaging app. Are you worried about your less-than-12-year-old child using Snapchat? Would you like to keep a tab on his/her activities on the platform? If yes, then keep reading. But before that, let’s take a brief look at Snapchat. 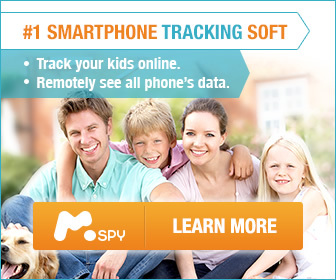 Read the latest on our top 3 teenager monitoring apps: Hillstone Cell Phone Tracker reviews. Founded by Evan Spiegel and Bobby Murphy, Snapchat is a glorified messaging app that started its journey as a photo and video-sharing tool. The shared snap (photo/video) could be played once and gets disappeared for good after some time. The sender or uploader can set the duration the snap would be available for others to see. Snapchat is just not any other social network. It has its own intricacies, which explains why tech behemoths such as Facebook and Google were once so keen on acquiring the company. The primary concern with Snapchat revolves around how the company deals with snaps. Snapchat claims snaps get deleted permanently. But there have been conflicting reports stating the pictures and videos actually stay hidden in the user’s phone. This means any individual with a certain level of technical proficiency could retrieve the snaps from the phone without the phone owner’s knowledge. Recipients could also photograph snaps with a camera or another phone. And some also claim unopened snaps stay in Snapchat’s servers for a month. You can probably imagine what someone with wrong intentions could do with your kids’ snaps once they have access to them. The pictures could go online anywhere, without or with your kid’s knowledge. In case your kid isn’t receiving or sending untoward snaps, the aforementioned problems won’t matter much. But what if your kid indulges in such behaviour later on. The worst part is most parental control software tools that help monitor your kid’s activities on the phone don’t work seamlessly with Snapchat. The other major issue is Snapchat’s lackadaisical approach toward questionable behaviour. For instance, sexting is quite common on Snapchat and there have been reports in the past indicating kids in the 12-14 years age group indulging in sexting. Snapchat claims ‘sexting’ isn’t an issue inherent to the platform and is only a user issue. Though that’s technically right, one must also consider that most 10-12-year old kids on the platform aren’t completely aware of their actions and it would, therefore, be completely unfair to lay the blame on them totally for any wrong-doing. Is it Safe for 12-Year Olds to Use Snapchat? For the issues aforementioned, Snapchat is definitely not the safest place to be in for 12-year-olds. The app indirectly transmits the false notion to users of uploading just about anything on the app – such as an obscene or embarrassing picture – and getting away with it. Most users, especially kids, believe recipients cannot share or save pictures, or the snaps won’t get tagged and stay associated with them forever, like on Facebook. But that line of thought is still very much debatable. Though Snapchat has certain ‘privacy settings’ in place that lets users share their snaps with only friends or people they know or allow only people they know to send in pictures, most 12-year-olds cannot be trusted on activating this feature in the settings. If you are seriously concerned about your kid getting exposed to strangers, negativity, threats and harassment on Snapchat or any other social online platform, you need a phone monitoring software. There are quite a few options available. If you need some solid recommendations, head to this list of best cell phone tracker apps for 2019 by Hillstone. You would also find in-depth reviews of individual cell phone tracking software on the site. Snapchat is definitely not a bad place or a platform synonymous with nefarious activities. But it also has its fair share of cyberbullies and predators that your immature or naïve 12-year-old kid would probably not be able to decipher and handle. If your 12-year-old is already using the app, it would be next to impossible to get him/her off the platform. But you can always keep a watch on his/her activities on the app. For instance, you could review your child’s friends on Snapchat. If there are names you don’t know, remove them. You can also head to the app’s privacy settings and make sure things are in order. It’s also important you talk to your 12-year-old and explain to him/her the possible pitfalls of Snapchat. If you’re going to delete the app altogether, make sure you do it with your kid’s knowledge. Else, it would only nurture the rebel in your kid.